The author has extended his 8-year type 2 diabetes (T2D) research to focus on the relationship between metabolic diseases and the probability of having a heart attack or stroke. He has developed big data numerical simulation models using ~1.5M data. Initially, he chose age, gender, race, family history, smoking, drinking, drug abuse, medical health conditions, and weight/waistline to establish a static baseline. He then applied hemodynamics knowledge to develop a macro-simulated mathematical model for the dynamic situations of blood blockage and artery rupture. 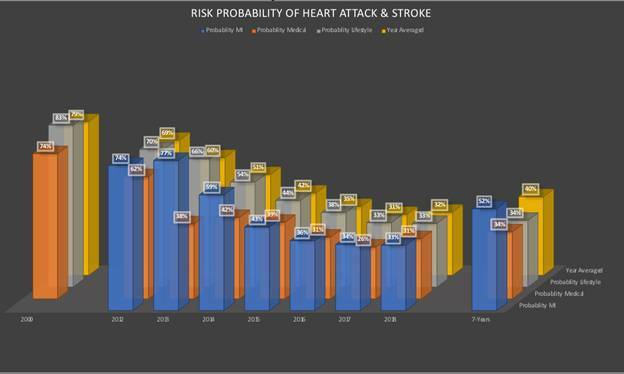 He utilized 72,893 data of chronic disease conditions (output data of obesity, diabetes, hypertension, and hyperlipidemia) within the past 2,274 days to compute the probability of having a heart attack or stroke in the near future. 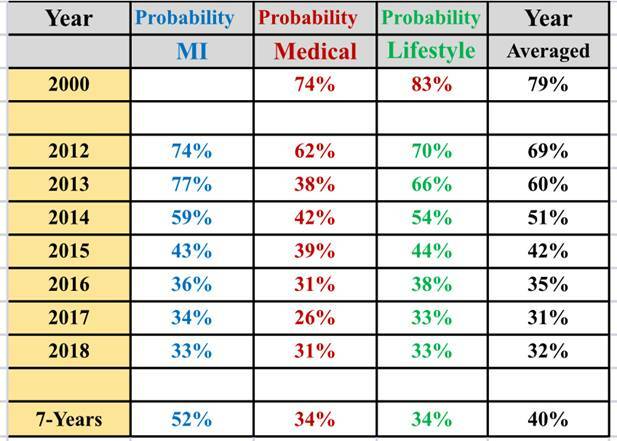 Finally, he conducted sensitivity analyses to cover the probability variance by using different weighting factors (WF). In summary, within eight years, he has an average of 34% probability with +/- 10% variance of WF sensitivity. The mathematical simulation results are validated by past health examination reports. This big data dynamic simulation approach using math-physical medicine will provide an early warning to patients with chronic disease of having a heart attack or stroke in the future.